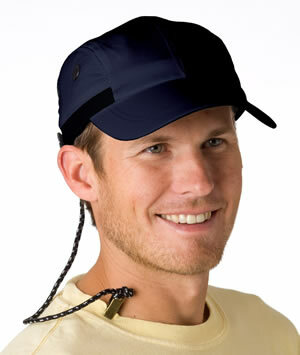 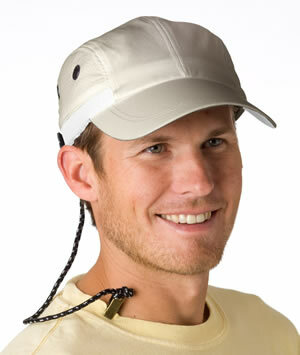 Description: Four-panel, low-profile cap made of UV protective fabric, with elongated bill for sun protection. Mesh on the two side panels for extra breathability. 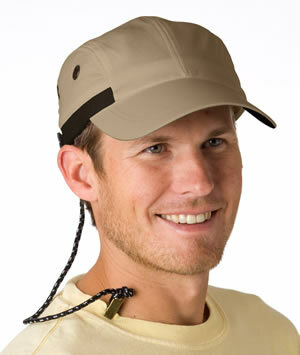 Flexible nylon webbing outside Velcro® closure. Metal clip and cord system to attach to collar. 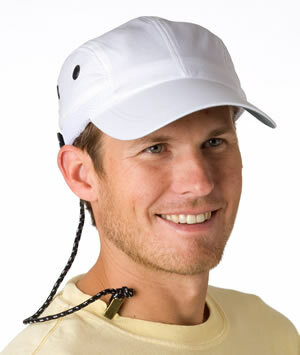 Also includes Adams exclusive Cool Crown comfort mesh lining, and terry cloth sweatband.